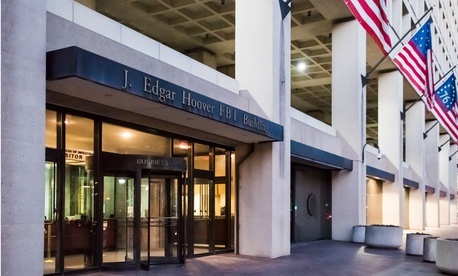 A newly disclosed internal poll of FBI employees reveals a sharp decline in confidence in the bureau’s senior leadership under Director Christopher Wray, according to analysis by Lawfare, a legal blogging outlet that obtained the survey results under the Freedom of Information Act. The context of the survey, which was also published on Monday in the New York Times, includes the firing of Director James Comey, the forced resignation of Deputy Director Andrew McCabe and the public attacks on the FBI by President Trump and some Republican lawmakers. But they do not reflect the more recent Justice Department inspector general report that faulted Comey for his handling of the probe of Hillary Clinton’s emails during the 2016 election. Agents at the bureau’s Washington headquarters scored “Wray and his team lower than they did the previous leadership team last year, but not by as wide a margin as employees working in the field,” the Times wrote, noting that the White House did not respond to its inquiries. Lawfare’s analysts stressed that past results showed improvements in morale in both the headquarters and field offices from 2013 through 2016, roughly the tenure of Comey, who was dismissed in May 2017.